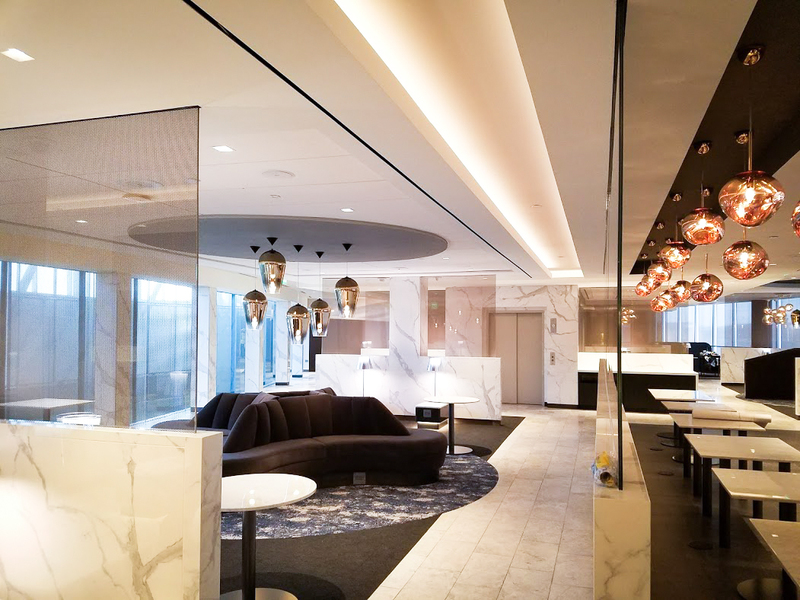 MAREK was honored to work with Turner Construction in building a lounge that reached new heights in both style and design. Airports can often be a place of manic rushing, tempers and complete agitation. This lounge was created to help those customers that purchase a Polaris first – or business class ticket a break from the headache that people often carry with them when they travel. 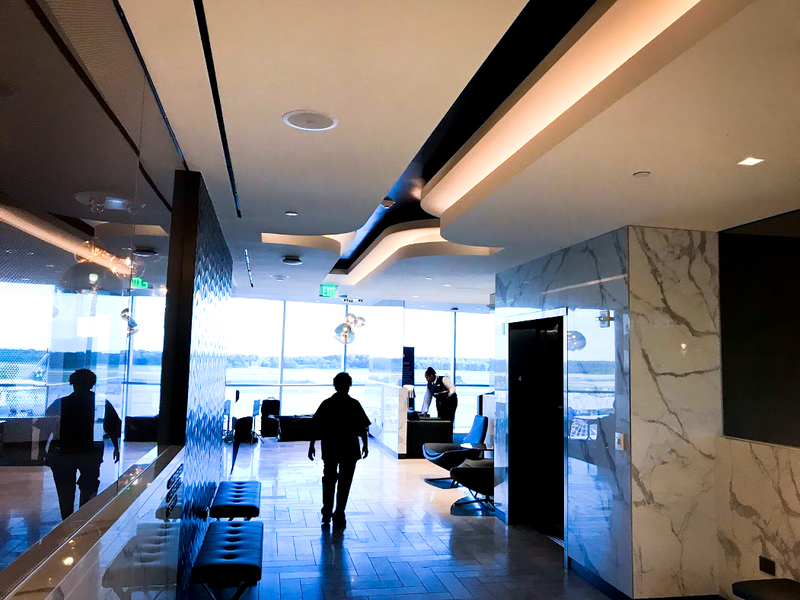 The Polaris lounge features 13 luxurious shower suites, a private dining area with table service, and 191 seats for travelers to utilize before their flight. When passengers walk into the lobby of the Polaris Lounge they are walking into an experience. 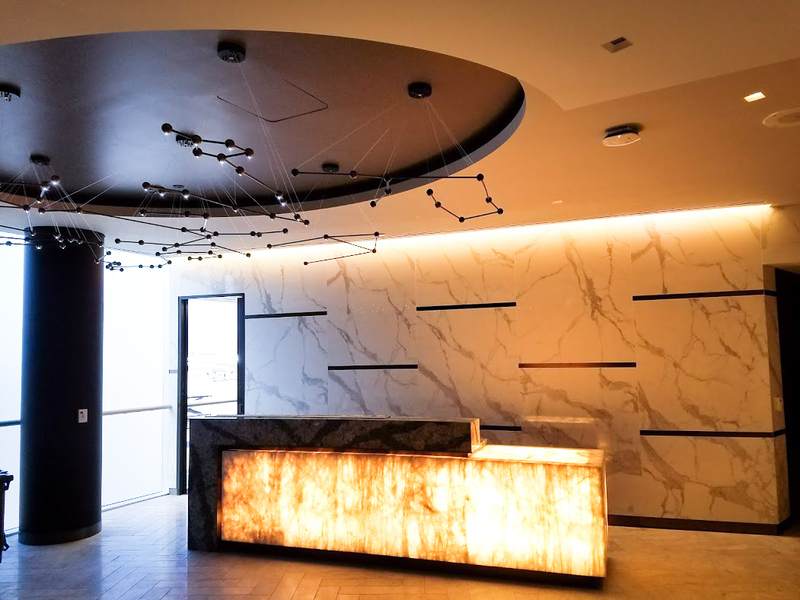 The lobby features seven zodiac constellations that help the weary traveler unwind. Travelers then take a ride to the lounge where they have their choice of a “Quiet Suite” available to those who get there early. Restrooms are spacious, individual compartments making up for the cramped airline bathrooms they will soon be using when in flight. This project allowed our skilled craftsmen and women to showcase most of the trades we have to offer, drywall, acoustical ceilings, stretch fabric ceilings, paint, wallcovering and window shades. A lot of effort went into this project before it even started. All employees working on-site had to get badges through the Houston Airport System (HAS) by passing background checks and presenting 3 forms of government issued ID’s. Due to limited space, all material was stocked and brought in from the apron through exterior glass from the tarmac area. All the material had to be stocked through the tarmac, our driver had to have security clearance. We had a boom truck that would lift our material along with other sub-contractors materials. The boom lift would raise the material to a glass opening where someone was waiting receive the materials and pass them to the appropriate person.